Judy Webster has been researching her family history since the 1970s. In 1986, at which time she was working as a medical scientist, she began her own part-time business as a professional genealogist. After being accredited by the Australasian Association of Genealogists and Record Agents, Judy did four years of study to obtain a Graduate Diploma in Local and Applied History (University of New England, Armidale NSW). In 2001 she received the Queensland Family History Society‘s Award for Services to Family History. Judy’s speciality is research in original records at Queensland State Archives, with emphasis on unusual sources that are superb for overcoming ‘brick walls’. Her clients include family historians, academic historians, and law firms trying to trace beneficiaries of deceased estates. Judy’s large Web site has advice on sources and strategies for family history research, and more than 53,000 names of local, interstate and overseas folk mentioned in Archives records. She has published various genealogy guides and indexes, and has given more than one hundred presentations at family history events in Australia and New Zealand, including the Australasian Congress on Genealogy and Heraldry. 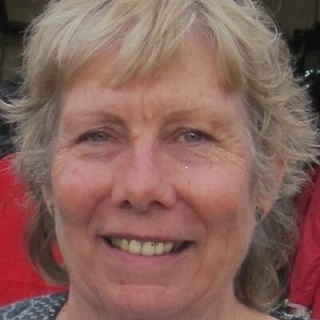 Judy is also the founder and coordinator of the ‘Genealogists for Families’ project, which encourages family historians worldwide to help less fortunate families by making micro-loans through Kiva (a non-profit organisation). Judy mentioned she was concerned that people don’t realize how much information is available in archives that isn’t online. She is absolutely right. If we all do this action we can start to make a dent in the misperception that all research can be done online. 1) Aanalyze your local archive and discover which materials they have that are not online. 2) Make a list on a page of your website or blog listing all the resources from that archive that are not available online so that the public can have access to it. Of course, you don’t have to list everything in your local archive that isn’t online! You might just provide broad categories. If you’re at a loss as to where to start, have a chat with the folks at your local archive and ask them! Tell them that you want to write about what they have that is not online. I’m sure they would be happy to point you to those collections. Not only will you be helping the general public learn more about the resources of the archive but even better, you’ll be on your way to developing a working relationship with the staff. In genealogy business news, the Association of Professional Genealogists is looking for a managing editor for the APG Quarterly magazine. Check out the publications page on www.apgen.org for more information about the publication. Interested parties can send cover letters and resumes to admin@apgen.org by July 10th 2016. In other APG news the annual Professional Management Conference Early Bird deadline is coming up on July 15th. Be sure to register by then so that you can save money off the registration price. Here are just a few of the excellent speakers that will be presenting: Dr. Thomas W. Jones, Mary Penner, Bethany Waterbury, Dr. Michael Lacopo, Melanie Holtz, Michael Hait, Catherine Desmarais, Billie Fogarty and many others. Of course, I’ll be there too. Aha Seminars has announced a new podcast called “Genealogy Connection” hosted by Drew Smith. Genealogy Connection will present interviews with genealogical speakers, authors, librarians and archivists, database service providers, software and technology developers, and other leaders in the community. The first episode debuts on June 27, 2016. Genealogy Connection will use the same feed as The Genealogy Guys Podcast so if you are already subscribed to that you will automatically get the episodes which will run in alternating weeks from the Genealogy Guys. Congratulations to Drew on that new project. Lastly I want to mention a new Facebook group of genealogy business people called the Genealogy Business Alliance. This group is primarily for businesses that exhibit in the vendor halls at genealogy conferences. They are working on developing best practices that will meet the needs of both exhibitors and conference organizers. If that is of interest to you, search for Genealogy Business Alliance on Facebook.